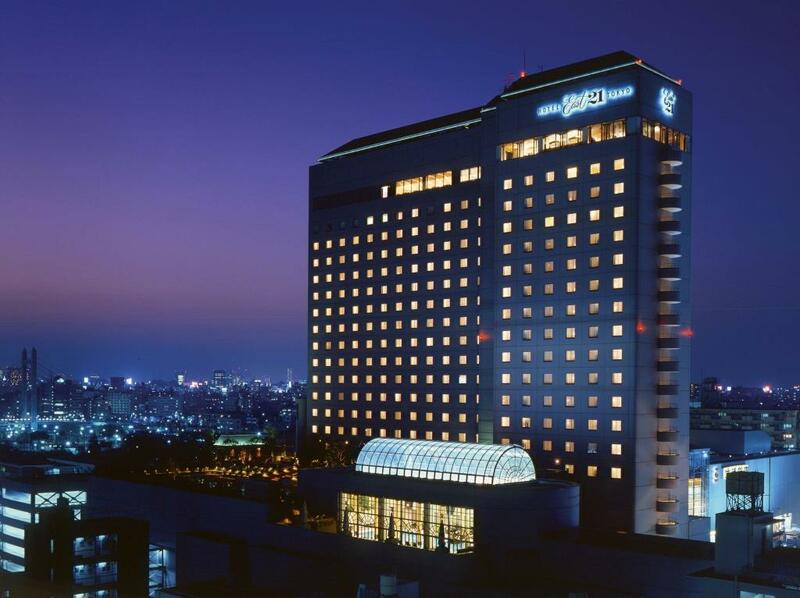 Oferint allotjaments de qualitat al l'oci familiar, els paisatges, els negocis districte de Tòquio, Hotel East 21 Tokyo (Okura Hotels & Resorts) és una selecció popular tant per oci com per negoci. L'hotel és a 4.0 Km del centre de la ciutat i permet accedir a les instal.lacions més importants de la ciutat. Per opcions de turisme i atraccions locals, no es necessita anar enfora ja que l'hotel gaudeix proximitat a Museu d'Art Contemporani, Tokyo, Museu Fukagawa Edo, Fujisaki Hospital. 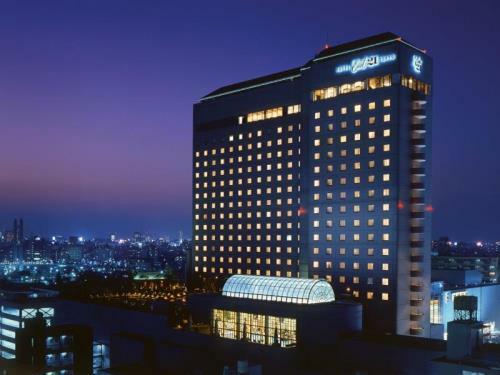 Okura Hotels and Resorts és ben reconeguda per la seva qualitat de serveis i el seu personal amable, i Hotel East 21 Tokyo (Okura Hotels & Resorts) compleix amb aquesta expectativa. Mentres estan allotjats en aquestes meravelloses instal.lacions, els clients poden gaudir de Wi-Fi gratuït en totes les habitacions, santuari, servei de neteja diari, recepció 24 hores, Zones públiques amb Wi-Fi. Gaudiu de les comoditats d'alta gama com ara te inclòs, armari, tovalloles, parquet, sabatilles per tal de relaxar-vos després d'un cansat dia. A més, l'oci que l'hotel ofereix assegurarà que tengui molt a fer durant el dia. Hotel East 21 Tokyo (Okura Hotels & Resorts) és una elecció inteligents per a viatgers a Tòquio, i ofereix una estada relaxant i sense molèsties. 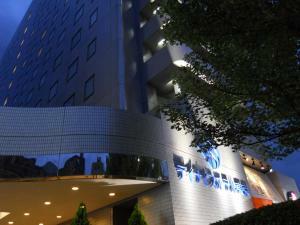 Airport Limousine Bus from Haneda & Narita International Airport to the Hotel is available. Please purchase the ticket at the Limousine Bus automatic ticket machine or at the information desk at the airport’s Arrival Hall. To purchase the limousine bus ticket from the Hotel, please approach the Bell Captain Desk to purchase the ticket, or contact the Limousine Bus Reservation Center to reserve your seat. The hotel provides free shuttle bus to Tokyo Disney Resort (R) for guests staying at Hotel East 21 Tokyo. Please kindly note that advance reservation is necessary to ride the free shuttle bus. Since the bus can only accommodate a limited number of guests, please reserve the seat as early as possible. The shuttle bus schedule is subject to change without prior notice. For details of the timetable, please contact the hotel for more information. Training wear, shoes, swimwear, and towel can be used for free for the member. - This Health Club is allowed for guest over 18 years old only. - Fee is applied to use Health Club. - Last day of every month, except December, the Health Club is closed. If the last of the month falls into weekend or public holiday, then the day before the last day of the month, is closed. JAL coupons are not accepted. Pot ser que als hostes amb un tatuatge no se'ls permeti entrar en zones de bany públiques o altres instal·lacions públiques. Children 0-6 years old stay for free if using existing bedding except for guests staying in Small Single and Small Double Bed. The number of children allowed in a room must match the number of beds. Children are not allowed to use existing bedding in a Small Single and Small Double Bed. One child stay for free if using existing bedding in a Standard Deluxe Double room. Children stay for free if using existing futon in a Japanese style room. A maximum number of children allowed to stay in a room is one child per futon. A maximum of 2 children are allowed to stay in any other room types. Totes les habitacions per a hostes d'aquesta propietat són per a no fumadors. Els hostes són responsables de tots els costs i danys causats per fumar.